These are no French Fries but Fish Churros by Pacific West, and these are our cocktail snacks before getting our Christmas Lunch treat that was specially prepared by their Chefs. After teaching us how to creatively prepare Yee Sang with their products early last year, Pacific West once again impressed us by showcasing how creatively we can prepare food with their products, and the recipes are “festive-proof”, anytime of the year as you so wish. Let’s recap the Pacific West Tempura Prawn Prosperity Toss Yee Sang last year. If you are out of ideas, let their in-house chefs, Chef Garry Edson and Chef Leong Main Choy lead the way. First course will be the Fish Churros, that is served with Siracha Mayo dip or Chicken Parfait. Gibson liked the crunchiness at the edges while getting the soft side of the fish paste. It could be an unstoppable snack because by dipping with different pastes, you get to savour the different flavours, even by just dipping into chili sauce will be nice too. Another fish snack that can be play around with all sort of ingredients, but the chef decided to match with salad. 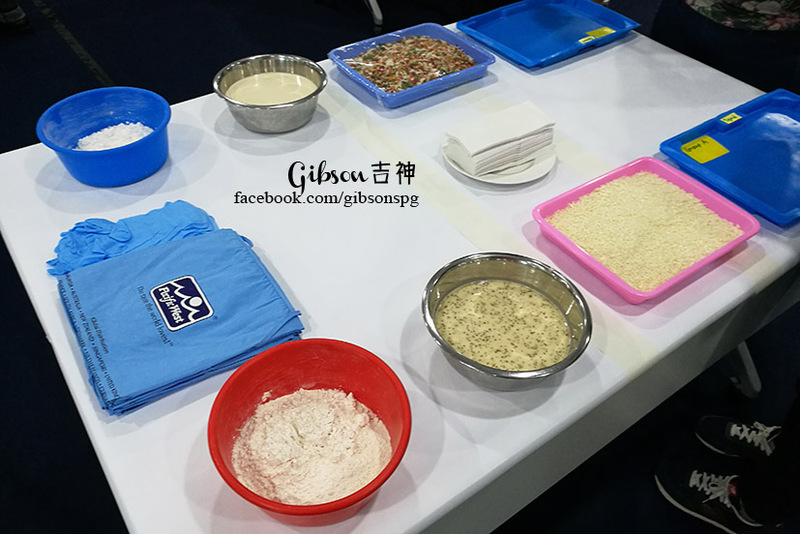 Gibson was thinking that an oriental way may be exciting, such as Sweet and sour pork style, would try it at home one day. After 2 exciting canapes, we were served with an interesting starter. Gibson like to describe it as a 2 in 1 starter. Crunchy Spiced Squid in Japanese garden salad is served with Wakame Seaweed, Edamame, Japanese Cucumber and Ebiko, which was the superlicious in the plate, while Tempura prawn, Lobster & Prawn cocktail were somewhat overpowered by the sauce, but without a doubt the prawns and lobsters were fresh. The Kimchi Pancake is a good example of best “Korean Pizza”, which they cleverly match the acidity of the kimchi with the crunchy squid Ring, you get the best flavour from both worlds in one bite. Even the fruit platter prepared by them was so eye-catching. According to their official website: As a premium brand of Golden Fresh, Pacific West is widely available in the Asia Pacific Region, Europe, South Africa, New Zealand and the Middle East. There are more than 20 types of products available in the market, and these are products that were served to us in the creative way. The Golden Fresh CEO, Mr Saw Hai Earn briefed us about the food processing plants before letting us go for an eye-opened tour. They even let us makes our own Calamari Ring and New Recipe Prawn, by which we had learned a lot about their products throughout the preparation process. These are our creation. Ahem, the winner’s creation though. Thank you Pacific West for having Gibson.